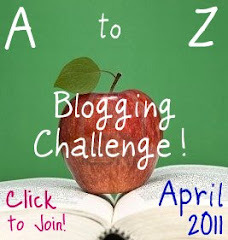 Starting tomorrow I will be posting from A to Z for the month of April for the Blogging Challenge. If any of you want to join or want more information about the challenge, please Click Here. My hubby and I have recently doing the Low Glycemic diet. I thought it will be a good idea to post the Low Glycemic Index or low GI foods and maybe low GI recipes for the A - Z Challenge. I'm excited to start! I have joined the last year's challenge and I was posting songs that were meant something to me. I liked the challenge so much that I'm joining again this year. Can't wait to see what you post. Welcome to the challenge! Very useful information that you and I thank you very much!